Creepy crawlies are making the most of lavish new five-star accommodation at Kelling Heath Holiday Park, in north Norfolk, following the introduction of a new bug hotel. 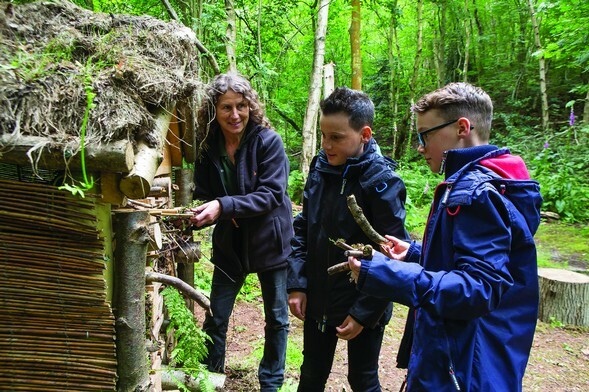 The new feature, which is built from recycled pallets and fallen branches, has been introduced to promote the importance of biodiversity to guests staying at the park, which is in an Area of Outstanding Natural Beauty. Kelling’s environment analyst, Alex Boothby, hopes the project will attract a diverse range of bugs, including arachnids, crustaceans (woodlice), mryiapods (centipedes) and the largest beetle in Great Britain - the Stag beetle. The new addition is just one of the environmentally-friendly initiatives introduced at the park in recent months to encourage wildlife. Recent projects include establishing a rare Crucian Carp population in the Upper Pond and introducing a hibernaculum – a reptile and amphibian pit to attract frogs, grass snakes and common lizards.